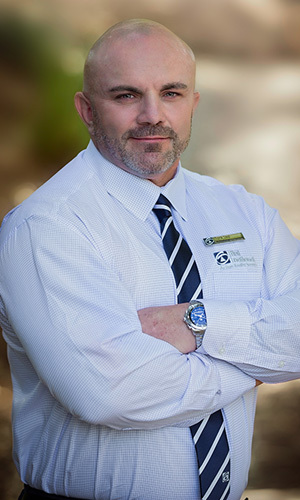 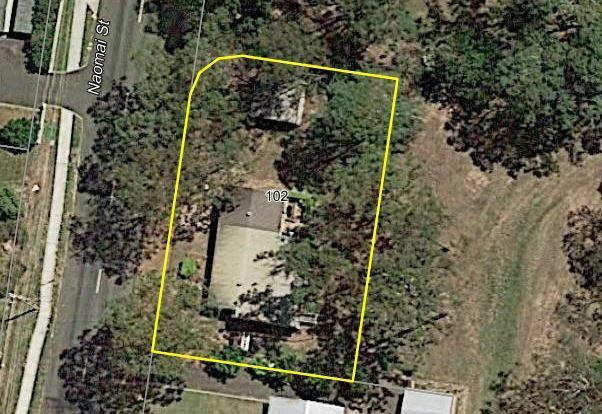 but you have a bus stop at the front door and an IGA food store, school, Bunnings, shops, employment opportunities, public pool, pubs, train station and much more just a few minutes down the road! 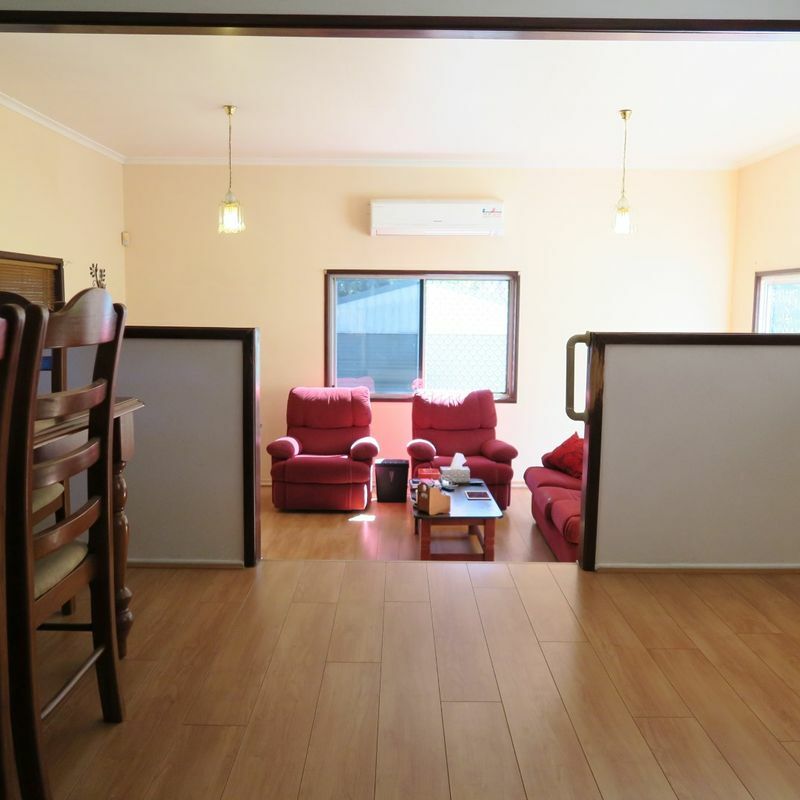 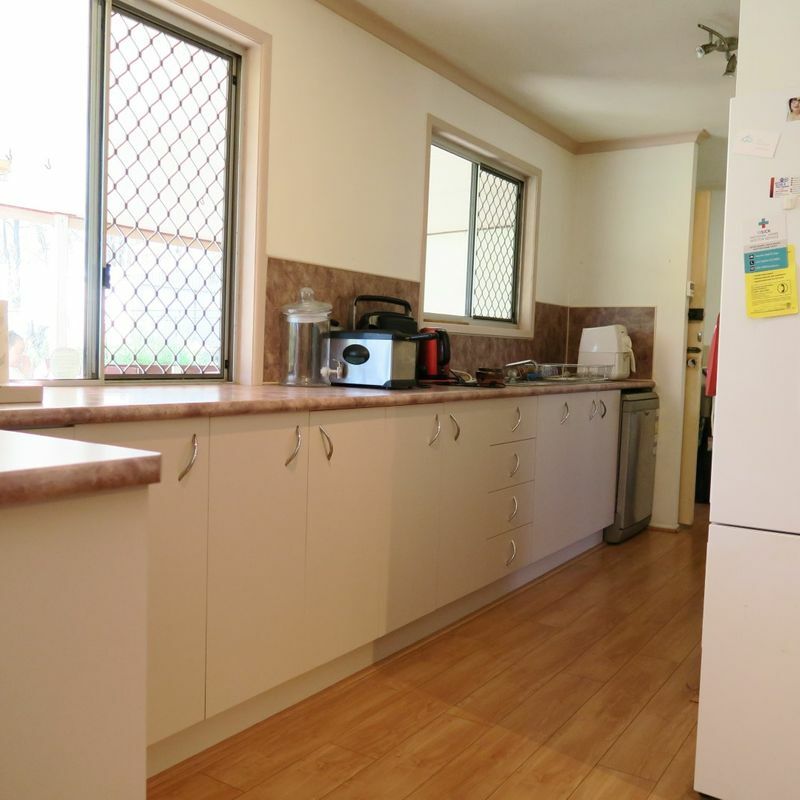 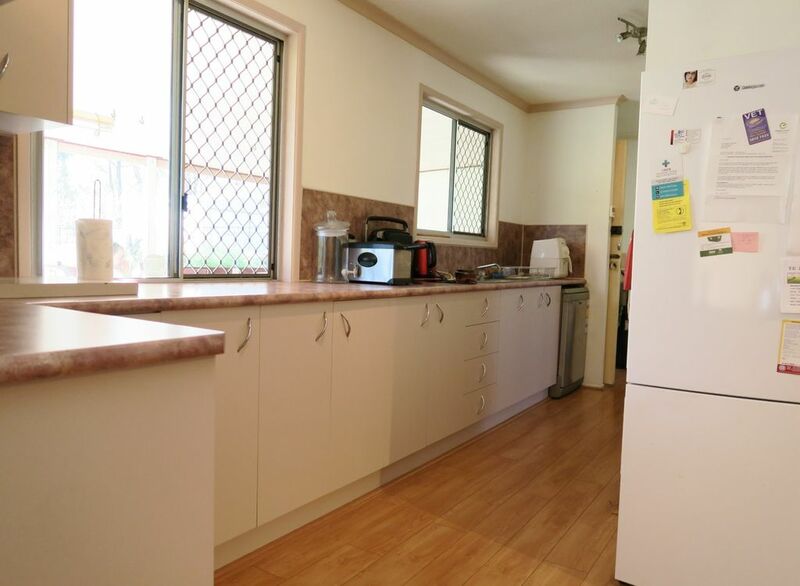 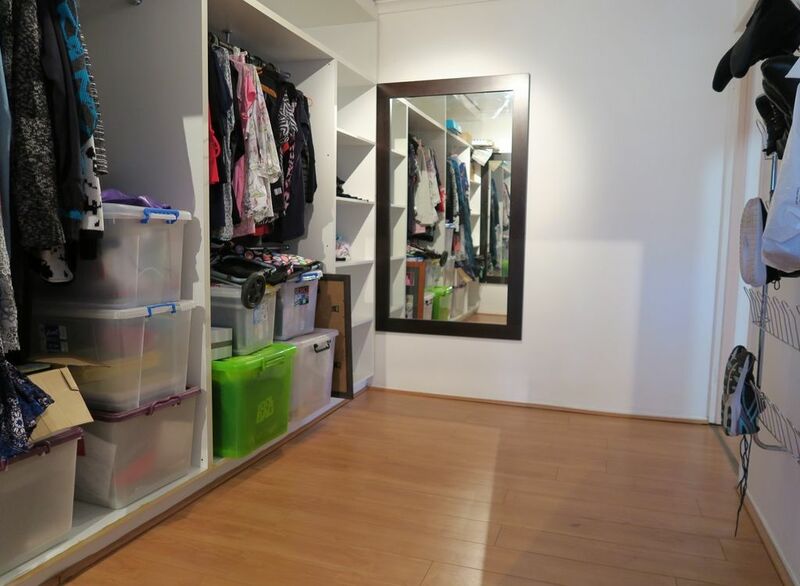 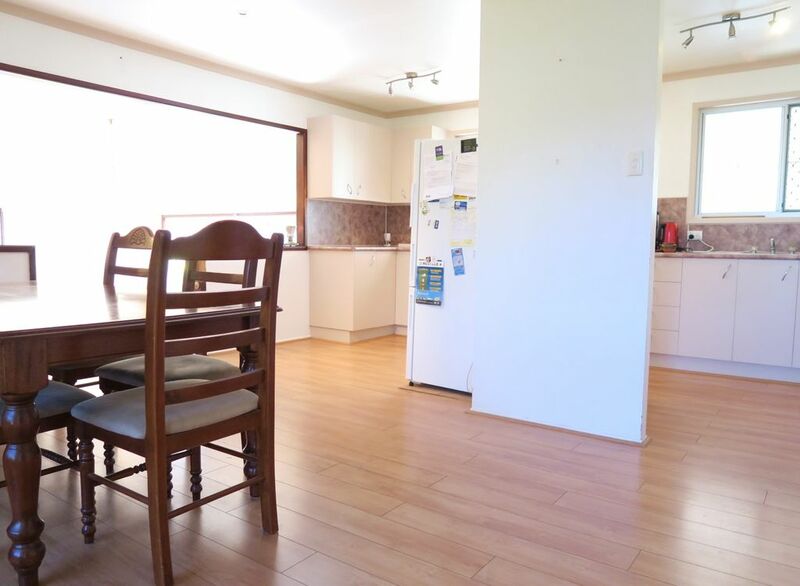 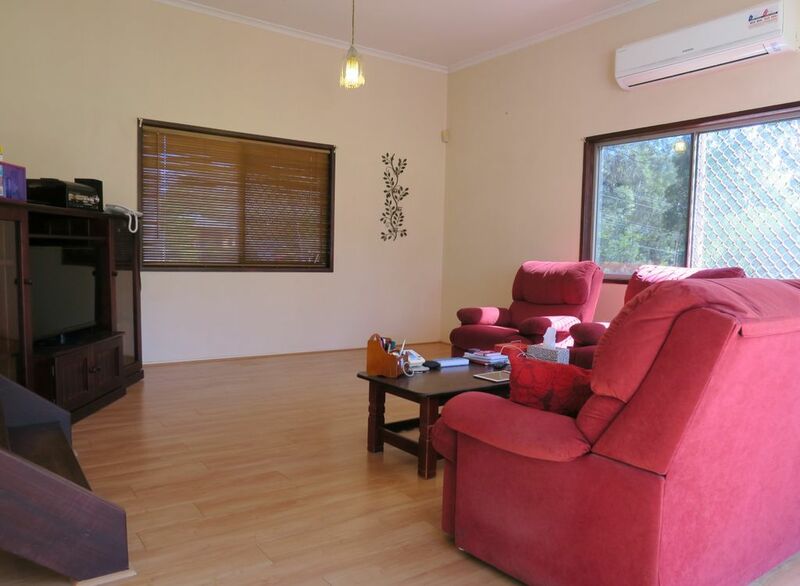 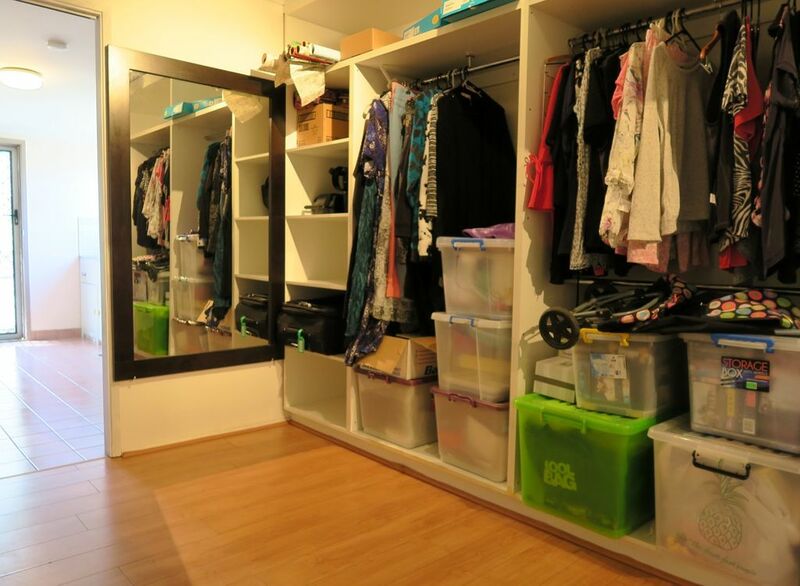 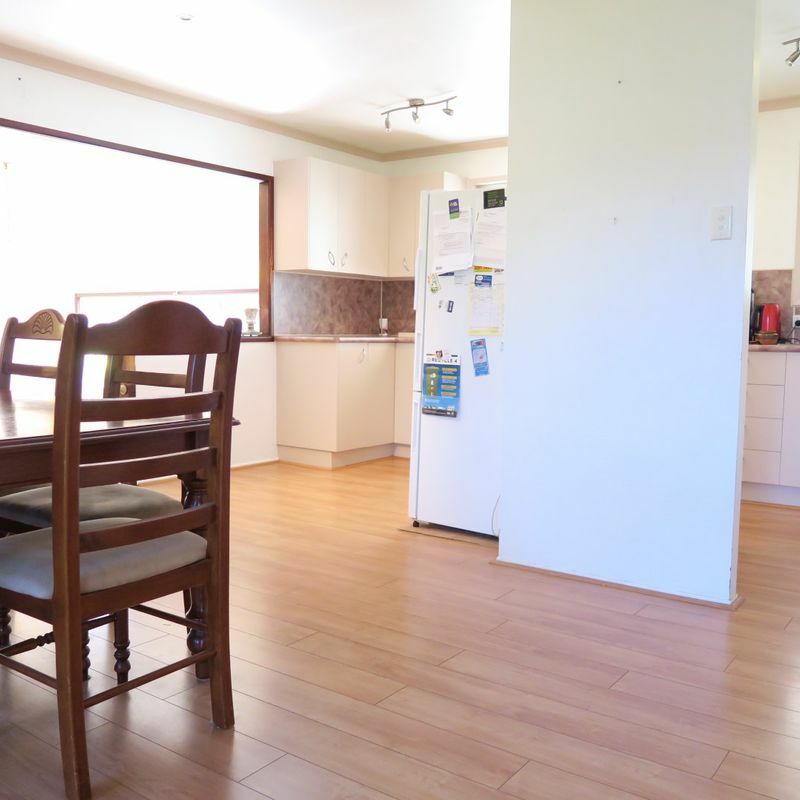 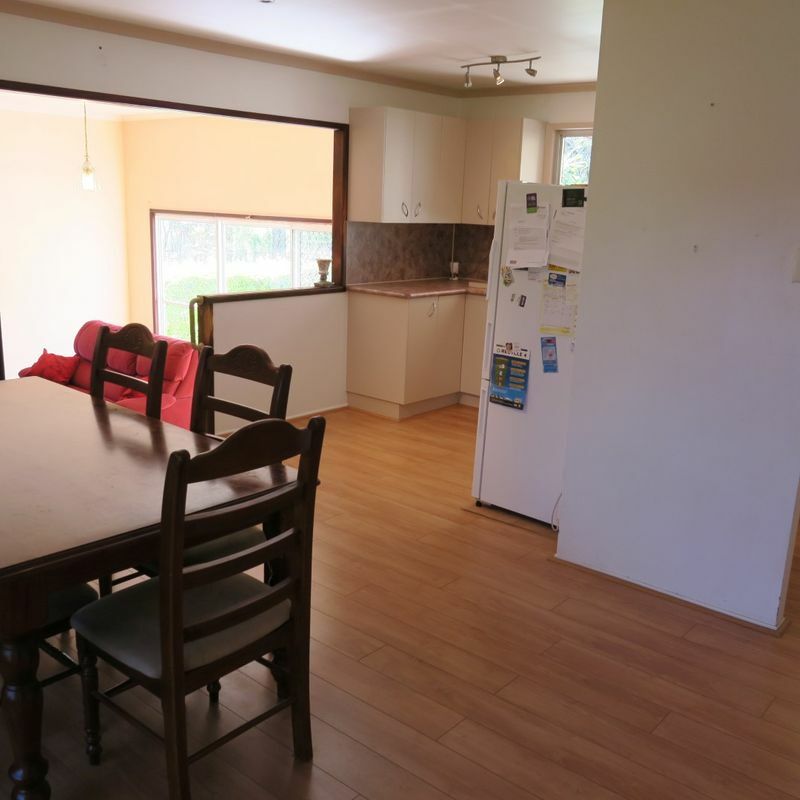 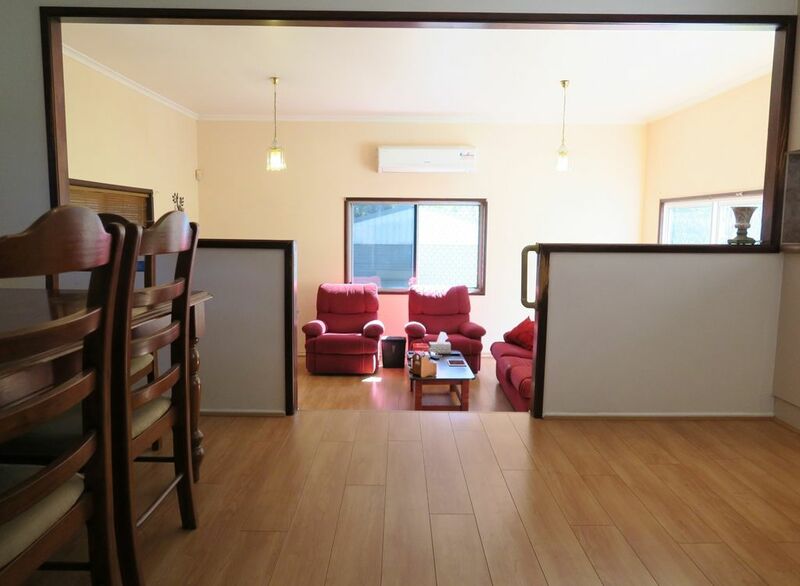 •	3 bedroom home that currently has the 3rd bedroom converted to a huge walk-in robe complete with shoe racks and shelving etc but could be returned back to its original use. 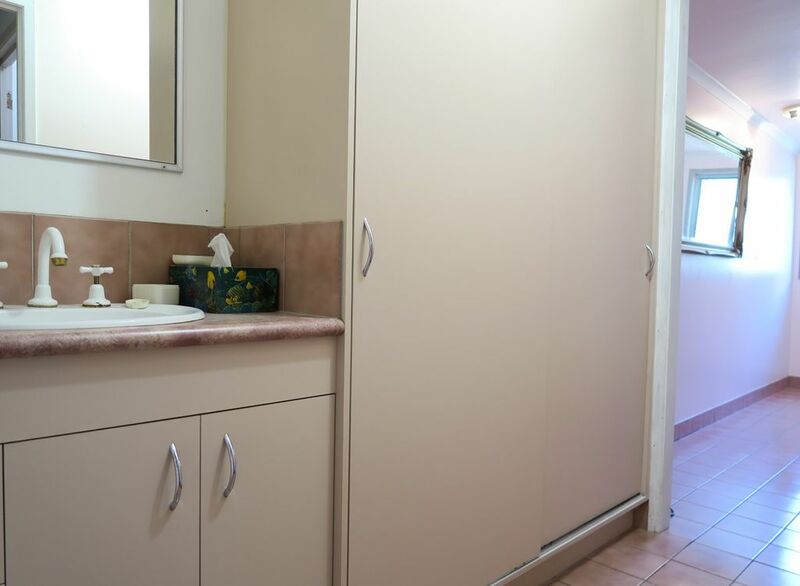 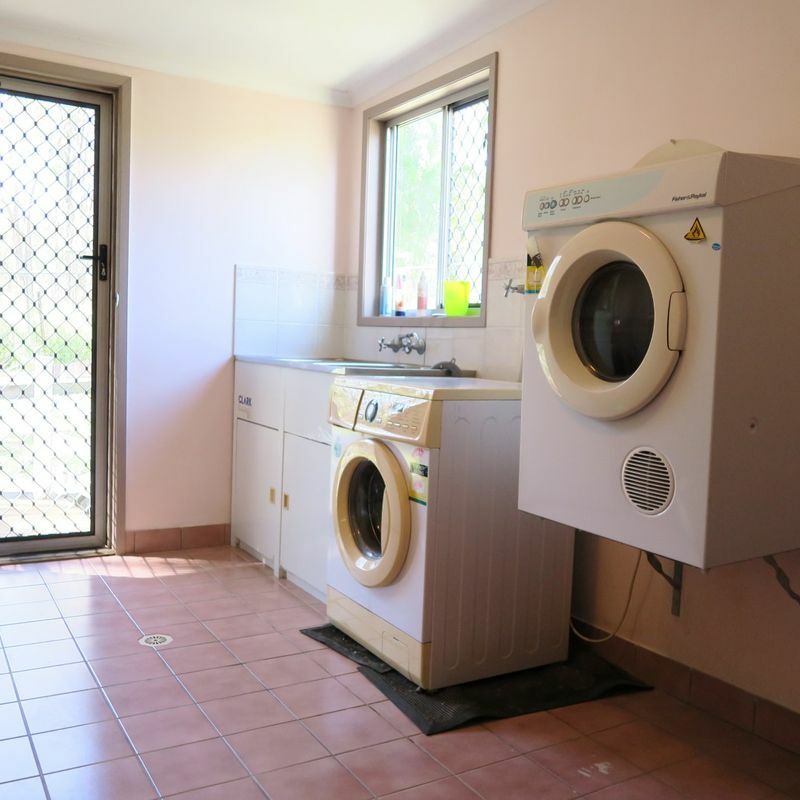 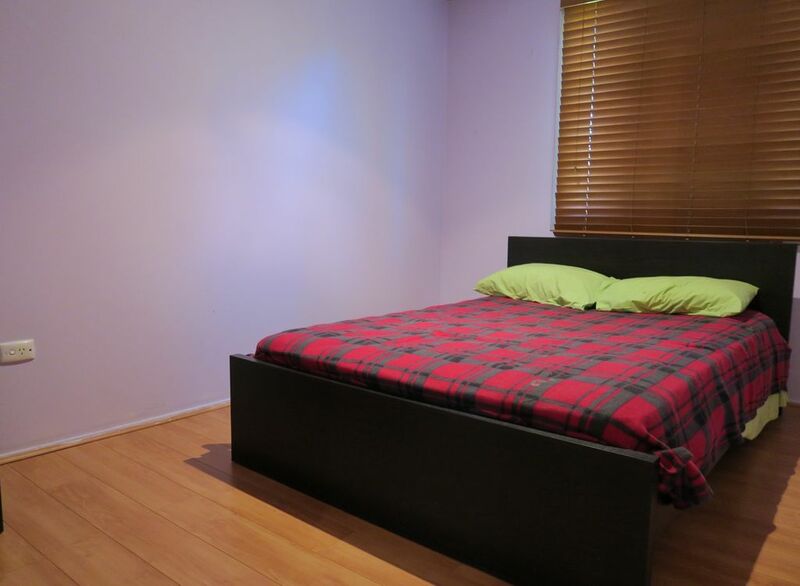 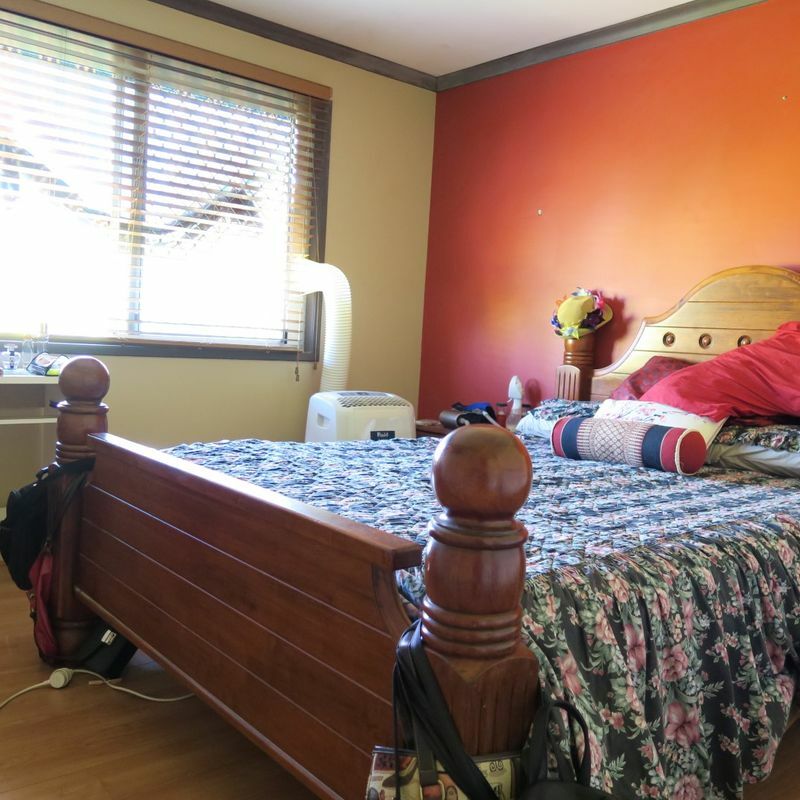 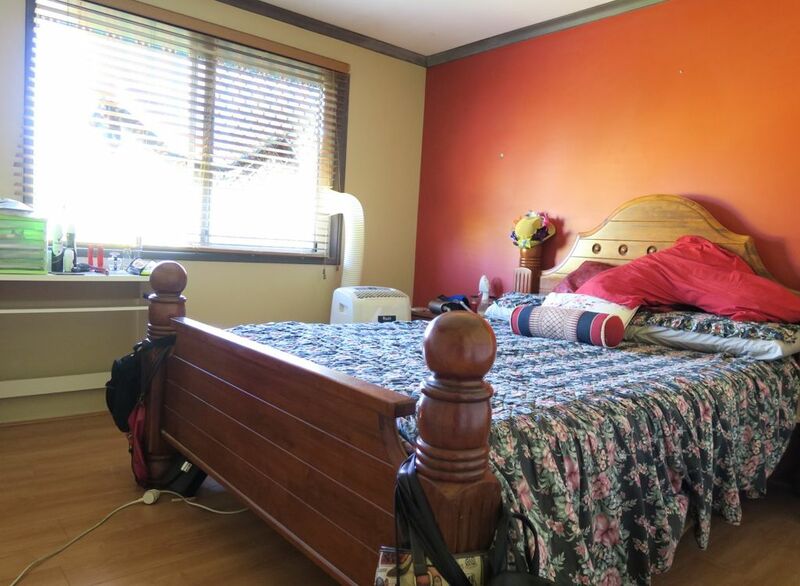 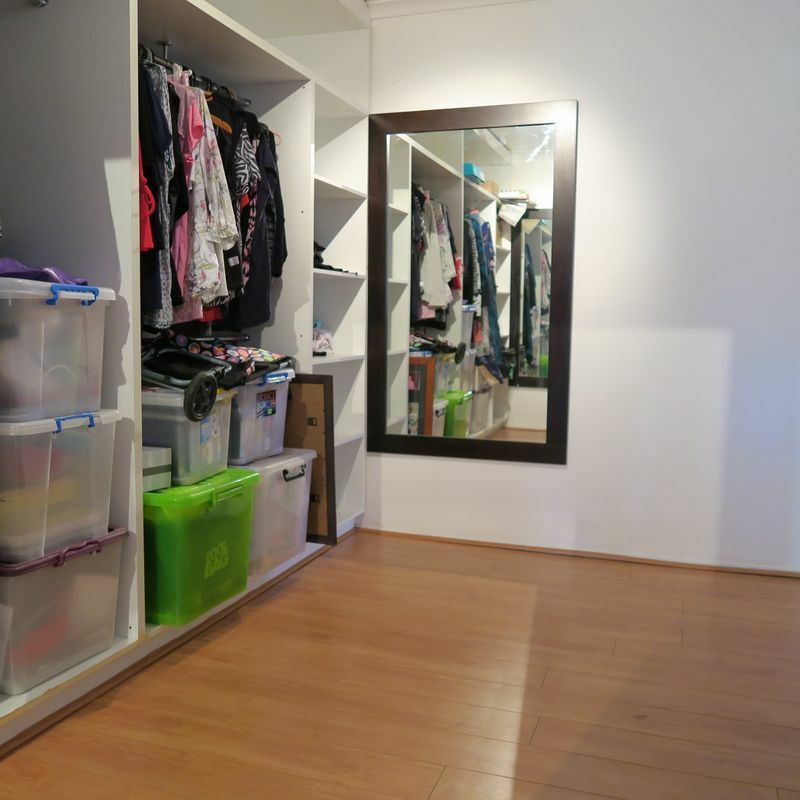 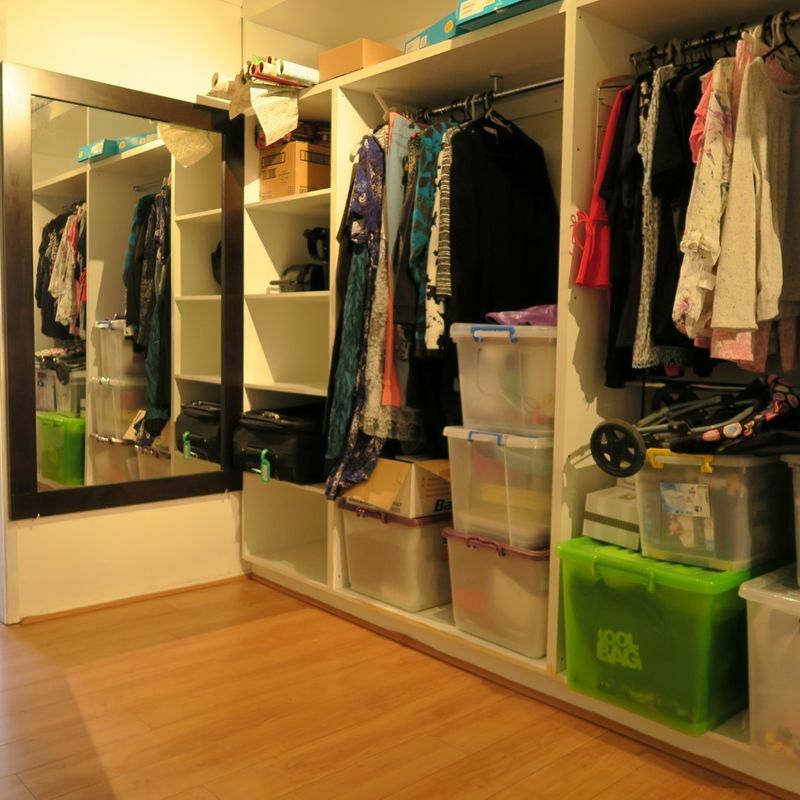 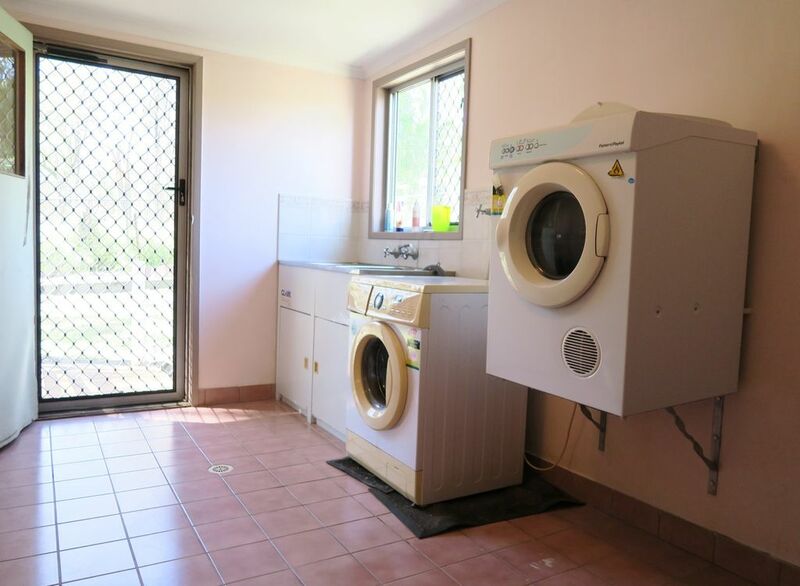 This bedroom also has easy access into the 2 way bathroom that adjoins the supersized laundry that could potentially house an ensuite addition due to its size and plumbing connections already close by. 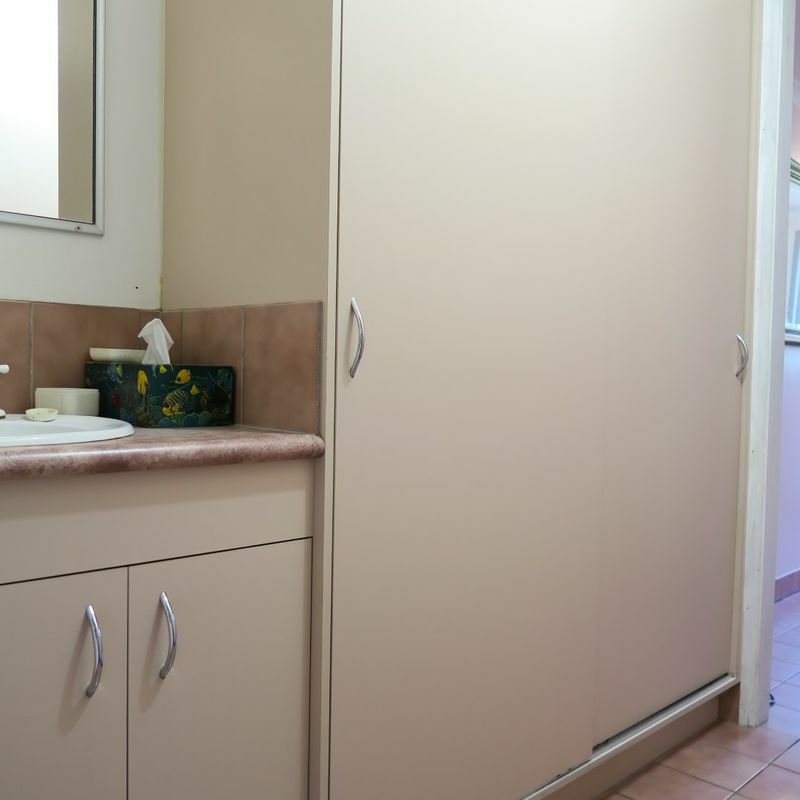 A double sized built-in linen cupboard is found within the powder room area and a skylight illuminates the toilet so no excuse for bad aiming ever again! 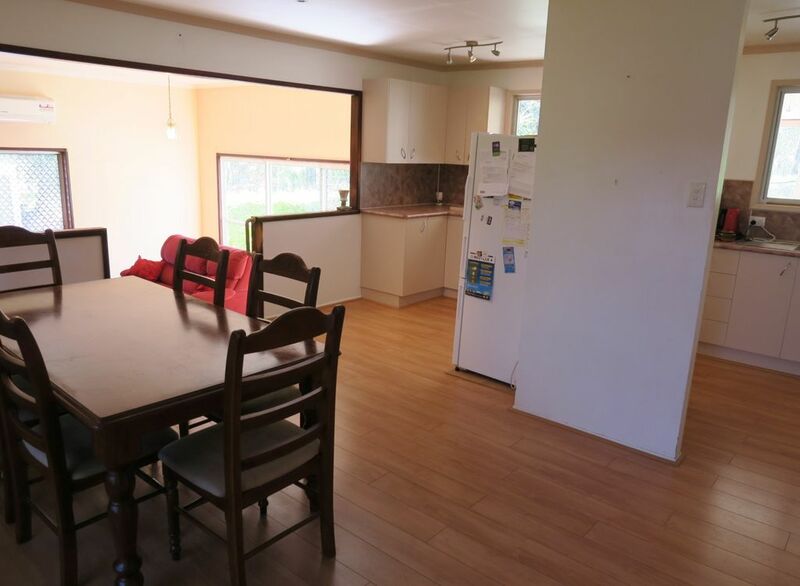 •	1 of the bedrooms has a wall mounted TV bracket, a separate spacious dining area takes care of the dining table whilst the kitchen gifts y’all a dishwasher, triple sized step in pantry and a good amount of bench space. 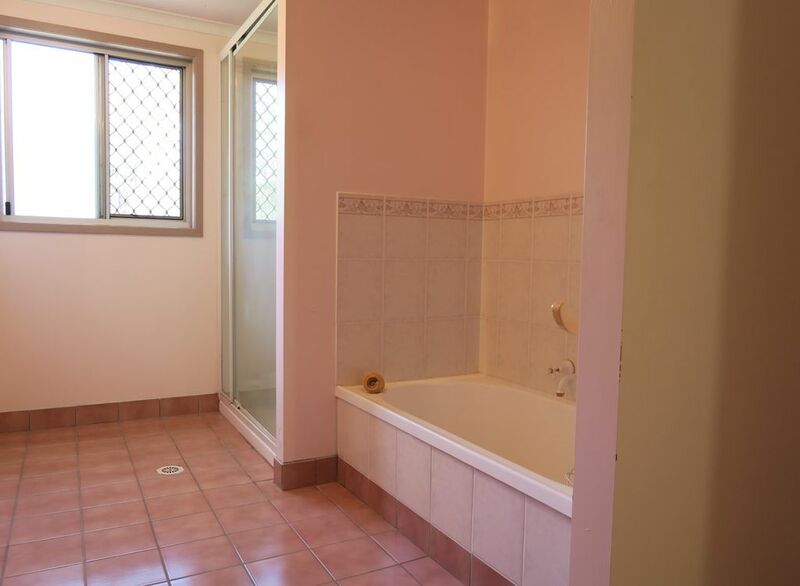 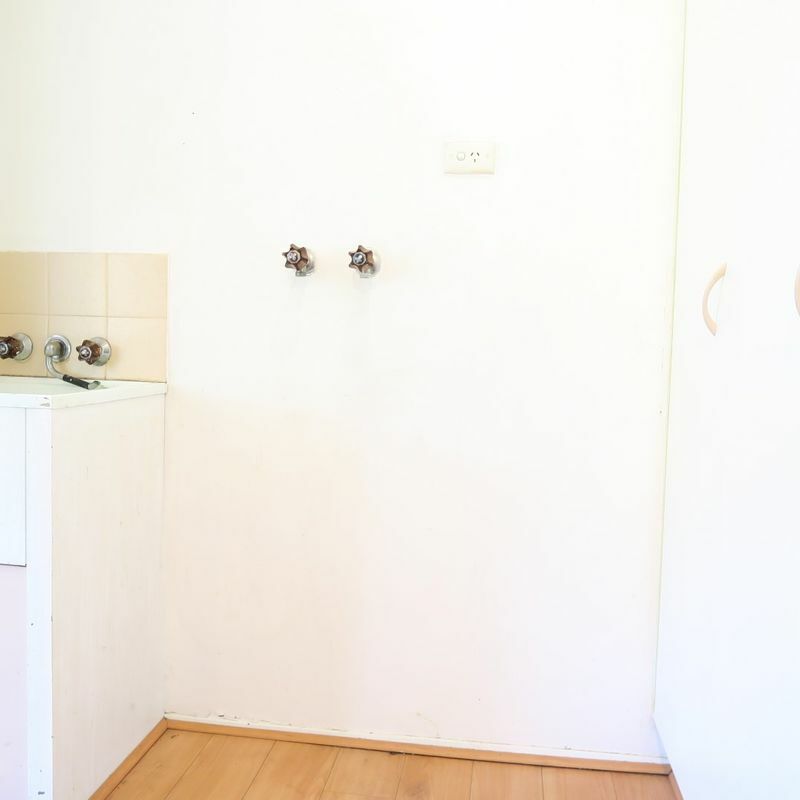 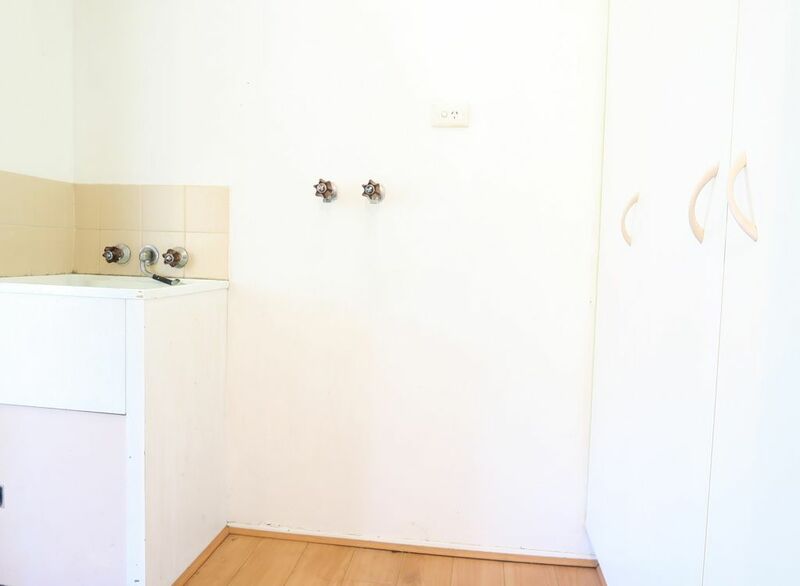 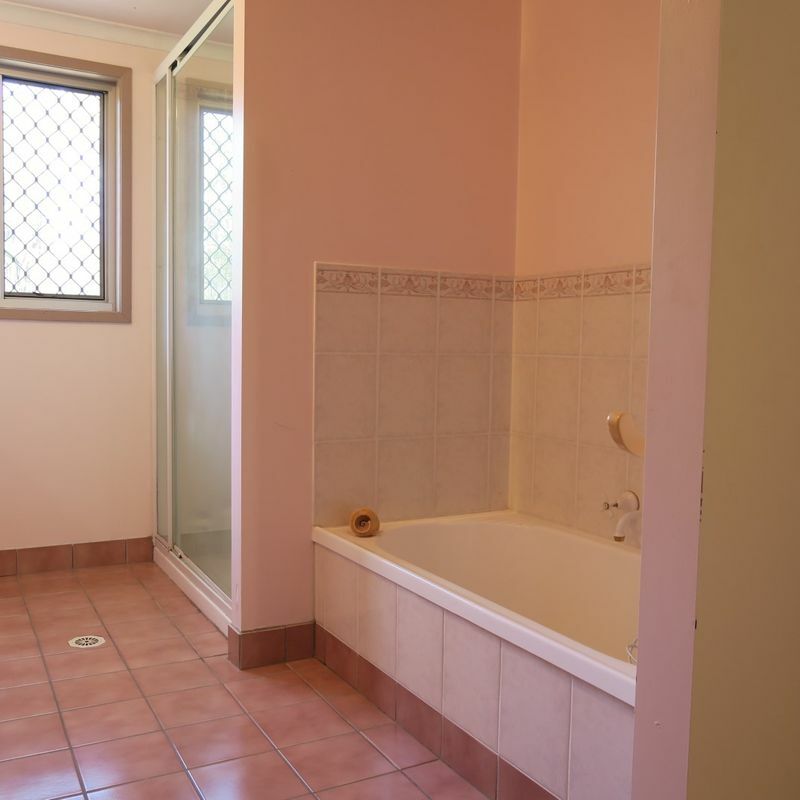 The former laundry area and tub makes an awesome ice bucket, esky or chillybin for when entertaining on the large covered rear deck as it is conveniently located just inside of the door accessing the deck. 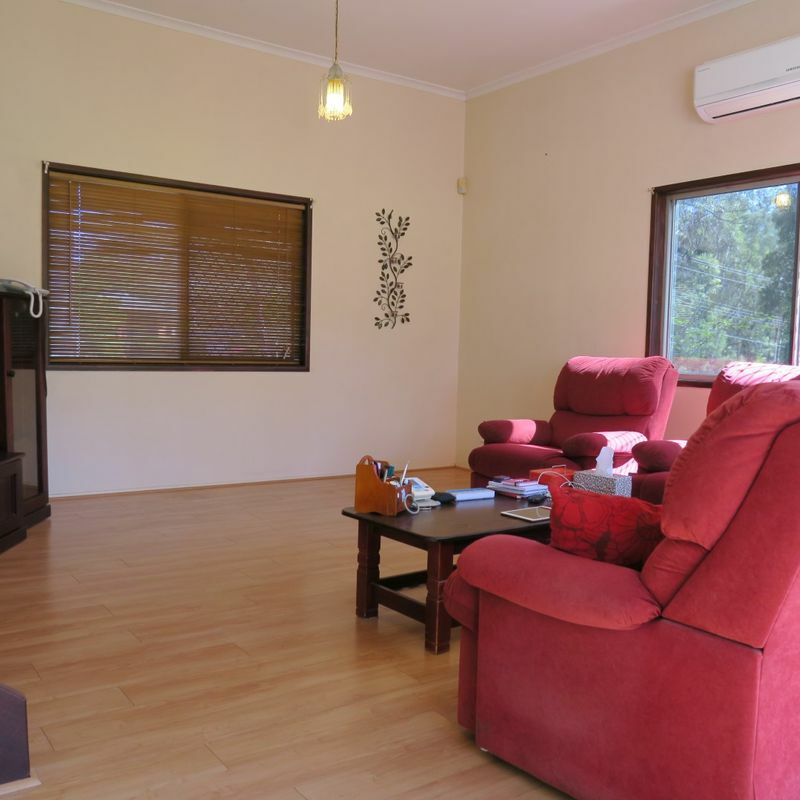 •	A large sunken lounge room can accommodate the largest of lounges and televisions and also provides ventilation thanks to a glass sliding door that opens out into the rear yard. 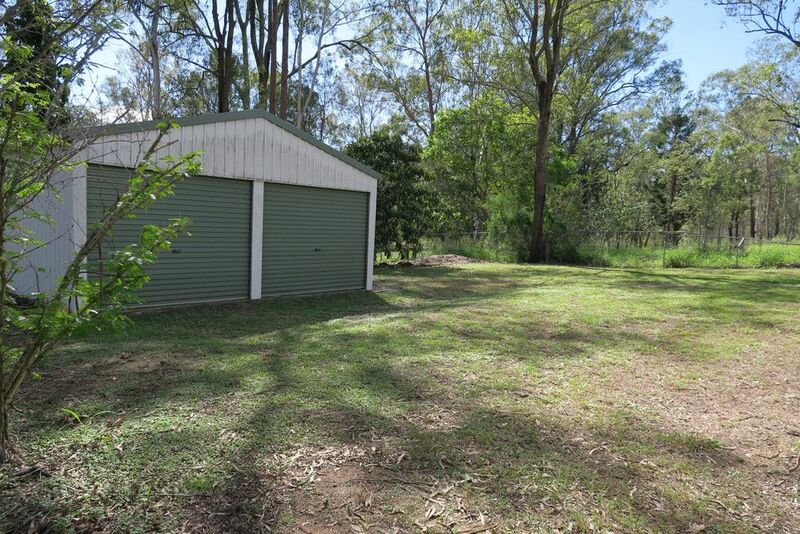 •	Outside you will find a garden shed, double gates accessing the rear yard, security screens, metal stumps under the home and roof insulation above the home! 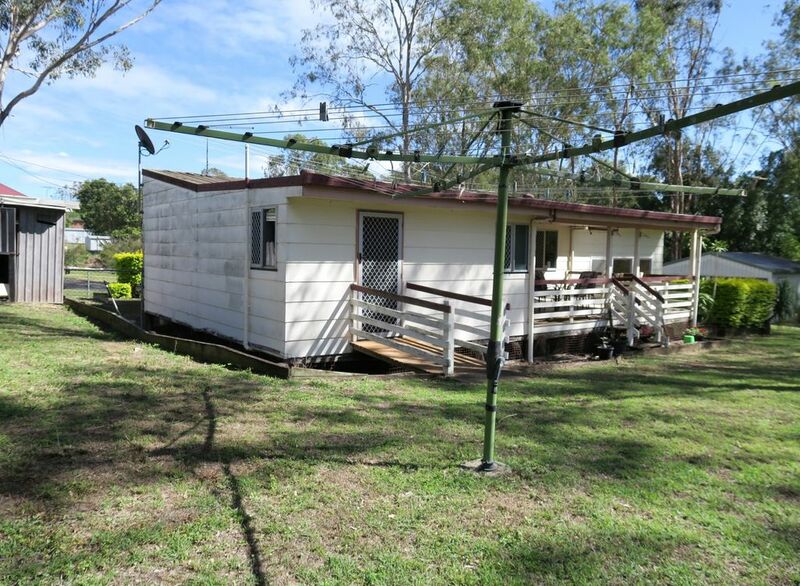 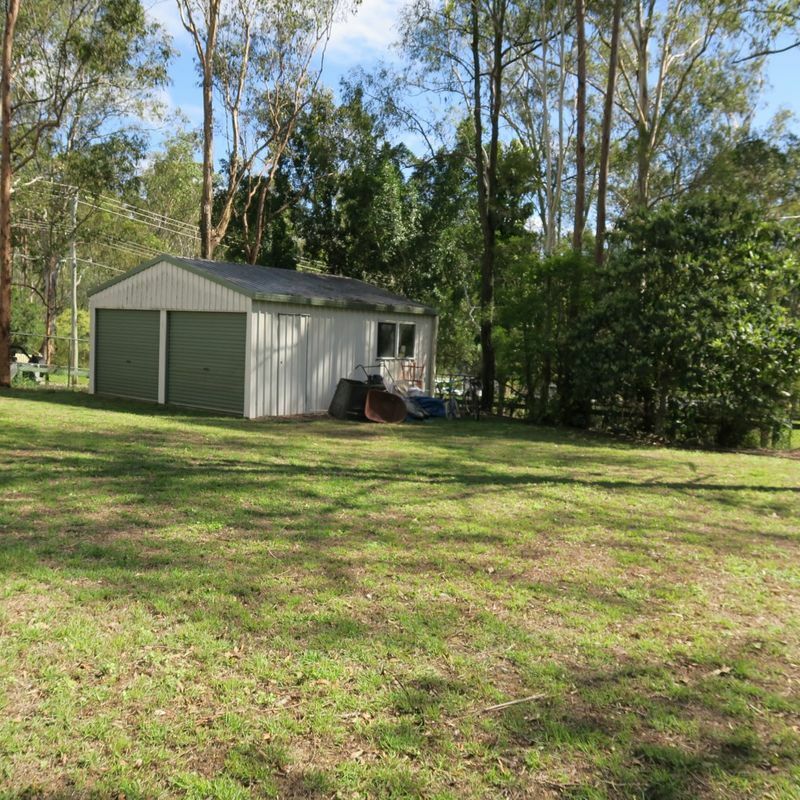 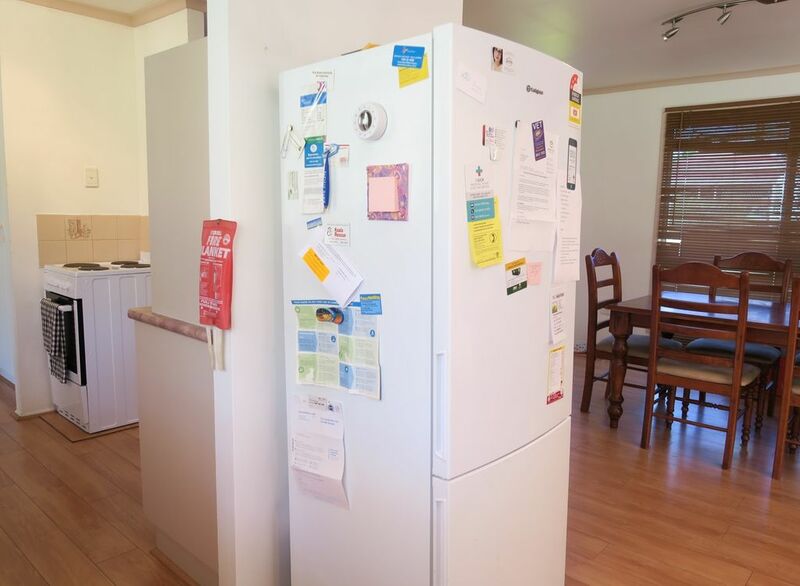 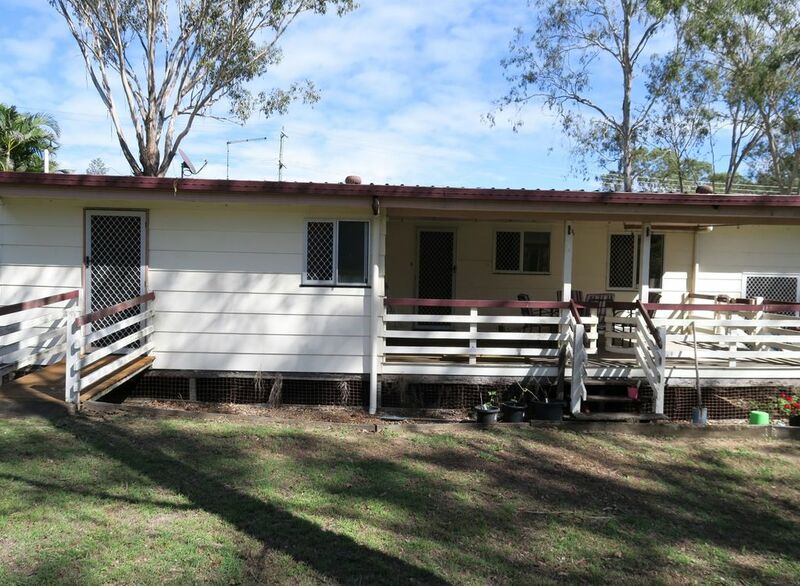 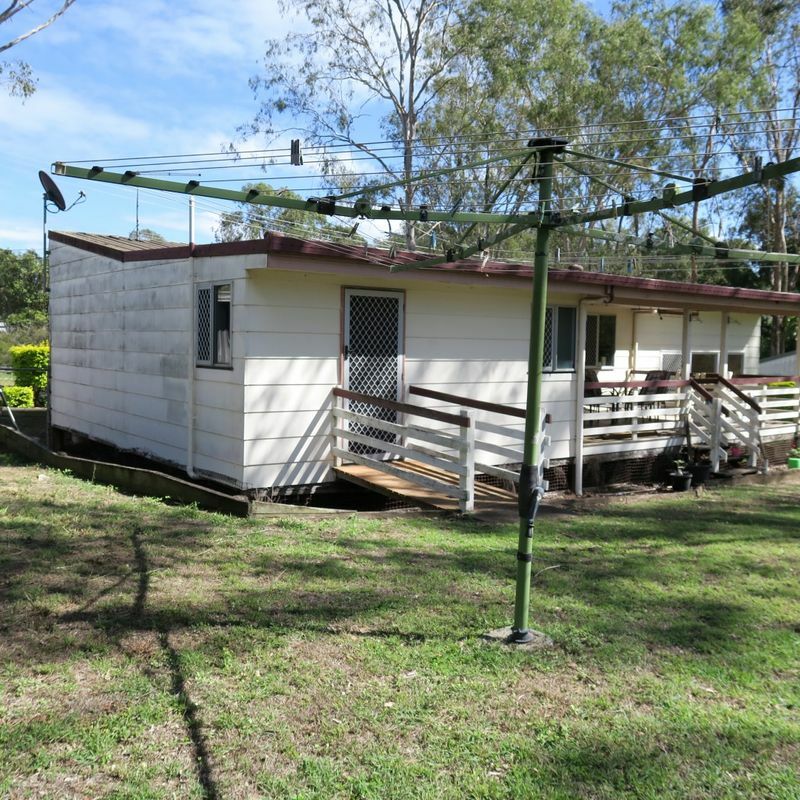 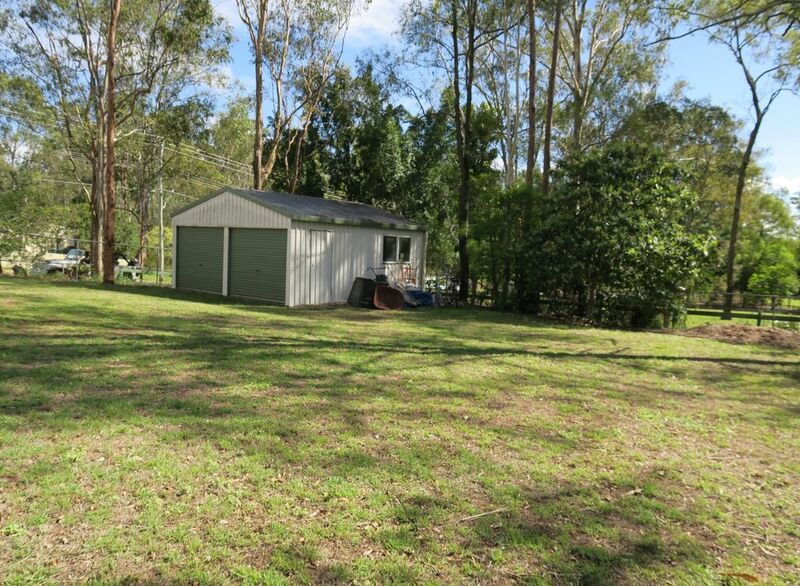 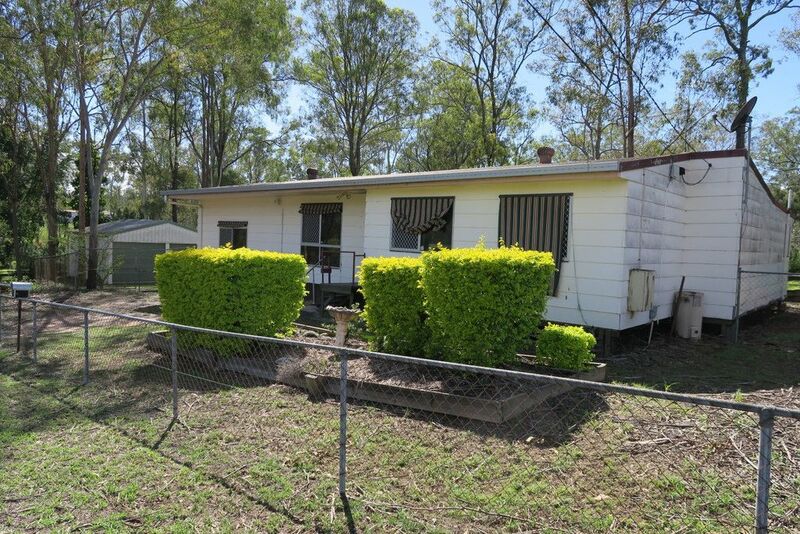 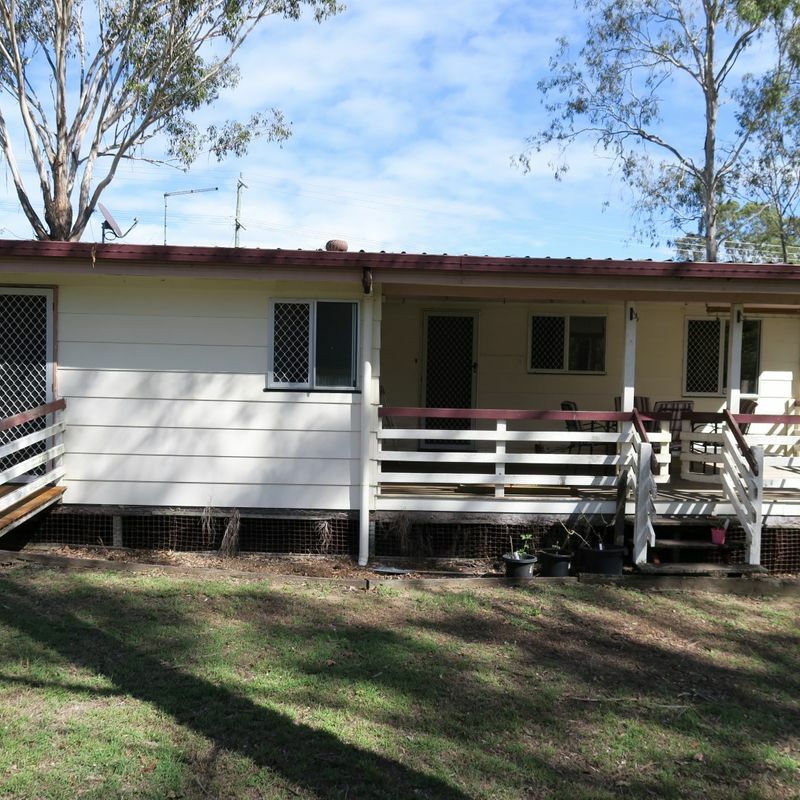 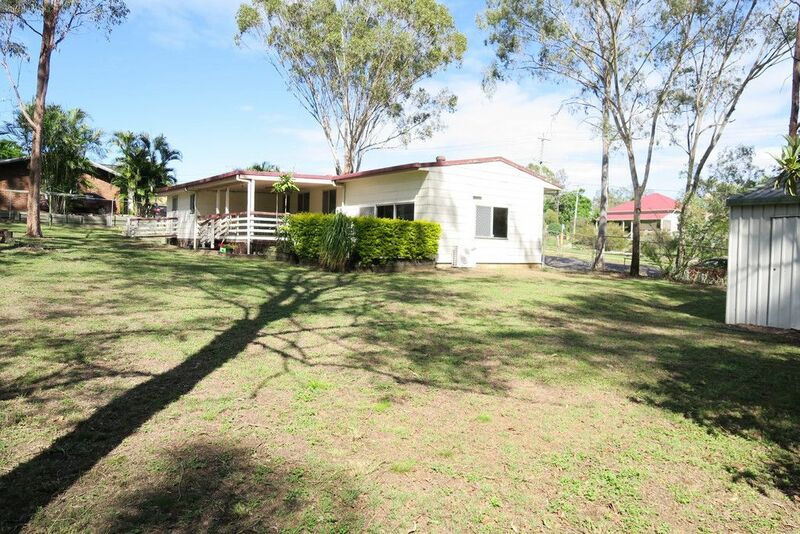 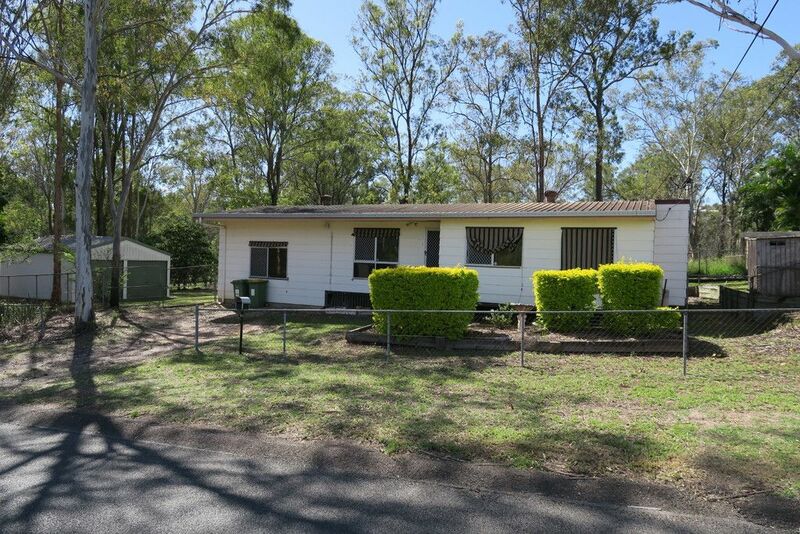 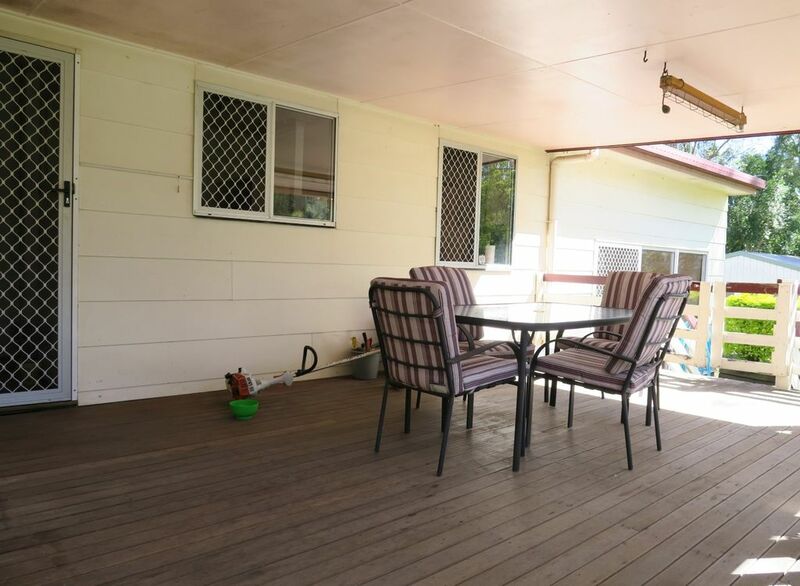 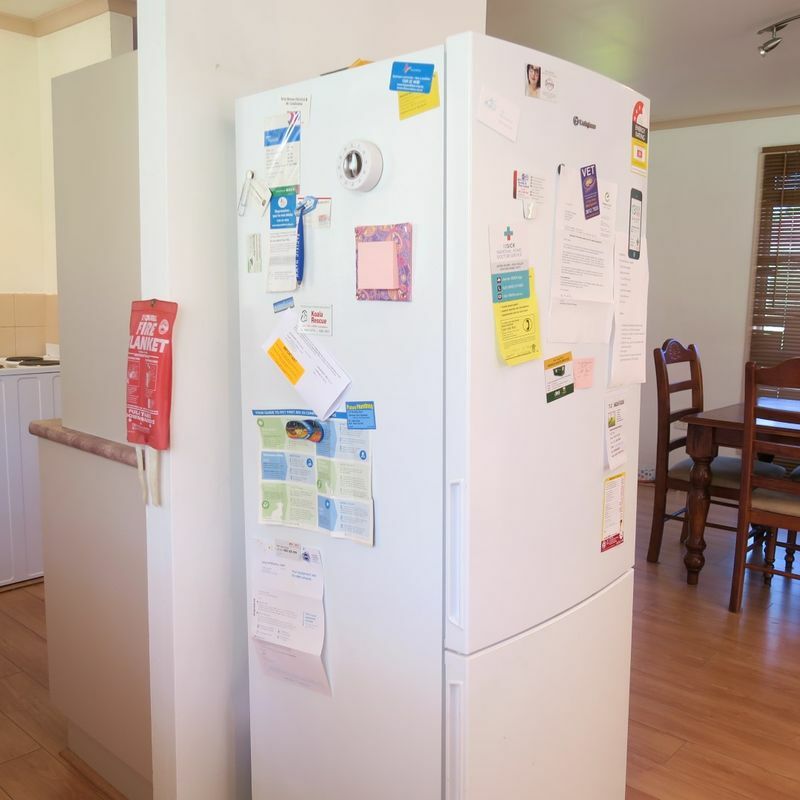 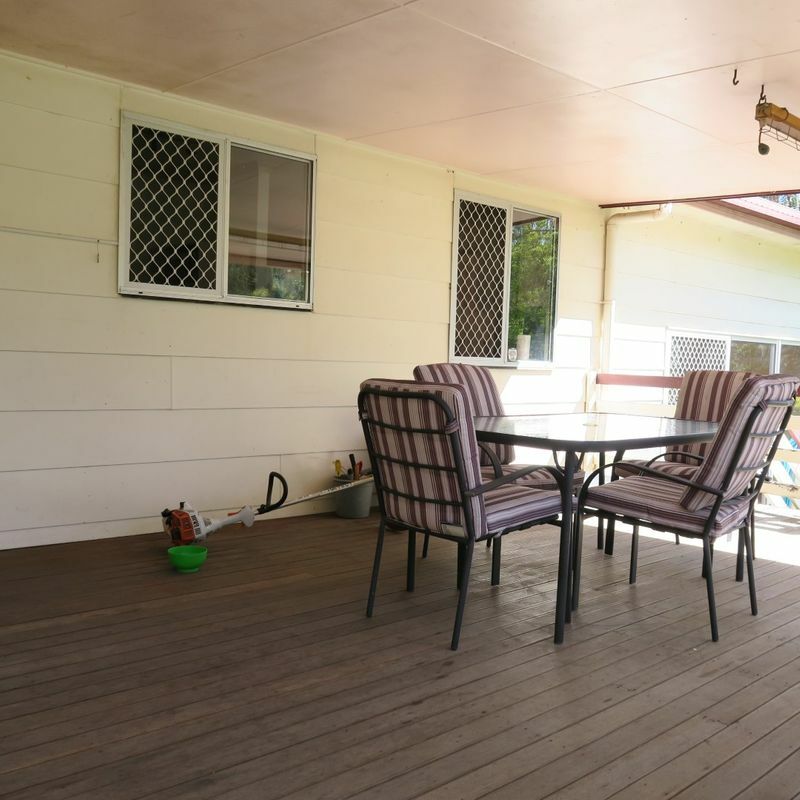 Access onto both the Cunningham Highway and Brisbane Road is just a short drive away and enjoy having a large over one quarter acre sized block to park on or play upon!